Four sets of tees at the Medalist allow golfers to choose distances and slopes ranging from 6965 yards/138 slope, 6490 yards/133 slope, 6007 yards 129 slope and 5240 yards with a 129 slope for women. 150 yard stakes on the par fours and fives double as directional devices, and 100, 150 & 200 yard markers are visible in the fairways. Sprinkler heads are measured to the center of the green and are quite plentiful. There are 8 pin placement areas on the large, mildly undulating greens - with the hole locations provided for on each score card. 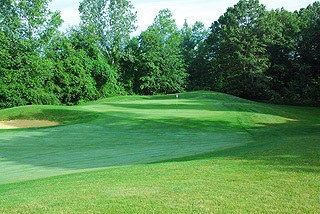 It is a good idea to land on the correct portion of these true-rolling putting surfaces, as ridges are frequently situated diagonally or across - making long lag putts a challenge. Though the landing areas off the tees are usually generous, approaches from specific locations on the doglegs and bottlenecks in the fairways will certainly result in better scoring opportunities. 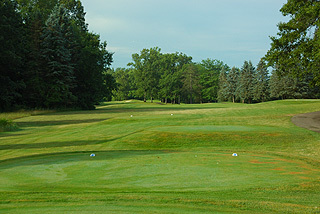 The short par four 13th is a good example, as a tree that takes root in the center of the fairway invites players to find a landing zone to either side. On 14, the par five ends near a green complex with bunkers all around and with a water hazard to the left that is barely visible. An approach from the right side is recommended.. The high slope ratings on the Medalist stem primarily from the considerable marsh areas prevalent on the course. 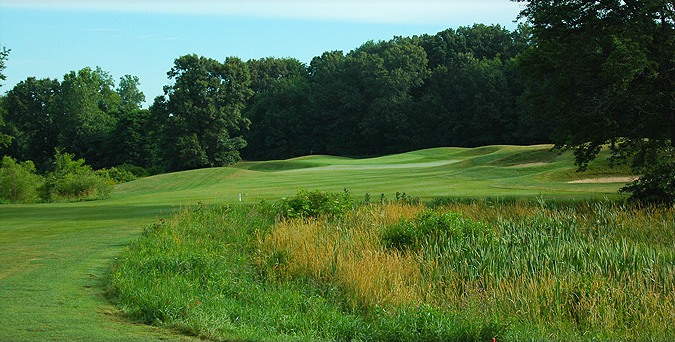 From the forward tees, the layout is more playable...scratch golfers playing from the black tees will find some formidable carries however, and average golfers will find a fair experience from the white tees. On the back side the par four 11th and par three 17th are demanding in that anything left short off the tee will be buried in marsh. 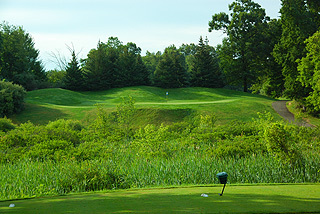 It is also important to also pay attention to the ponds that can sneak up on unsuspecting golfers. For those using the hole diagram booklet, be aware that a pond is situated immediately to the left of the green on number two - this hazard is not included in the diagram of this hole. 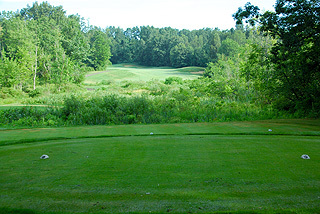 The pond along the left about 80 yards away is not totally visible on number 13, and on the finishing hole drives hit long left may end up in the hazard that rests at the bottom of the hill. 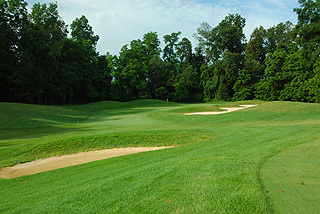 This score-able par four is situated directly in front of the upscale clubhouse, which features a spacious outdoor patio that affords wonderful views of the course. The clubhouse also features a pro shop, plus restaurant and lounge that can seat large groups for golf outings and for special events. There are locker and shower facilities for members only. 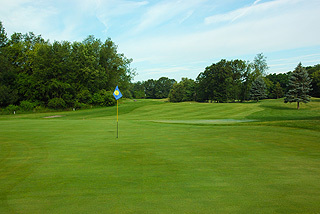 A grass range and practice green are also on property. 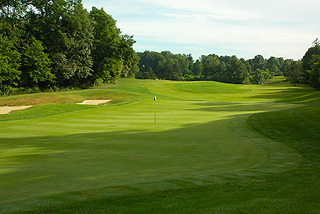 This is a wonderful facility - and a gorgeous golf course, extremely well conditioned from tee to green. We highly recommend a round here. 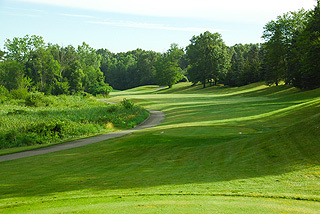 The Medalist is conveniently located off I-94 near Battle Creek - a fairly even distance from Jackson and Kalamazoo. For more info, visit our page for the Medalist with link to their website by clicking here.